Artistic, Good Sense of Humor, Hopeless Romantic, Lucky, Schmoozer. LTW: Golden Tongue, Golden Fingers. 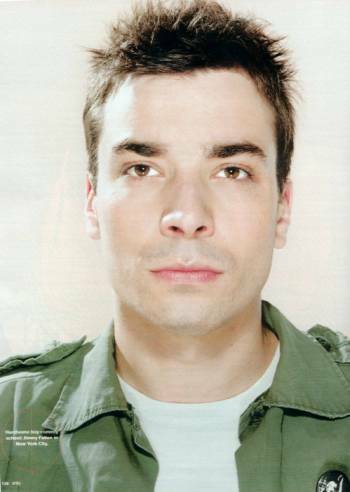 Favorites: Food: Grilled Salmon, Music: Indie, Color: Irish Green (since he's from Irish descent). 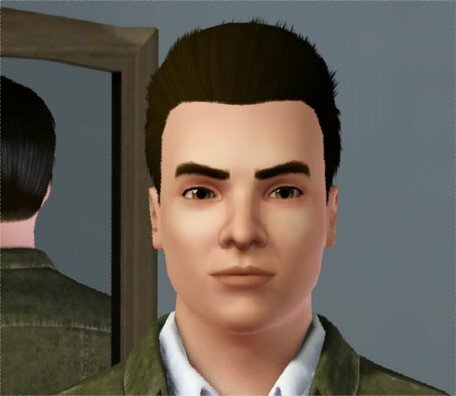 He has been made with the latest Patch 1.38, due to the fact I needed the extra sliders to make him look more like Jimmy, especially his nose and eyebrows. I was thrilled that the patch came out just in time to finish him. He has been made with no custom content and all base game hair and clothing. I did put a hairdo on him that came with Pets while I was working on him that looked more like his real hair and that made him look more like the real person. Of course, you can change anything you like on him once he is in your game. Easy install instructions are included in a notepad inside the zip file. 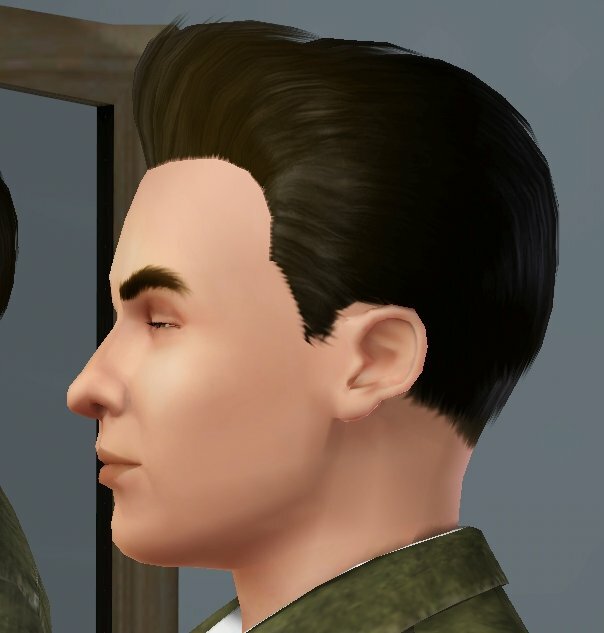 He's uploaded in "sim" format which goes into your SavedSims folder and will show up in your CAS Bin under the Young Adult age.